Those gallus Gauls and glaikit Romans are at it again. After the groundbreaking success of the first Scots Asterix translation, Asterix and the Pechts, Matthew Fitt is going back to the very first Asterix adventure. 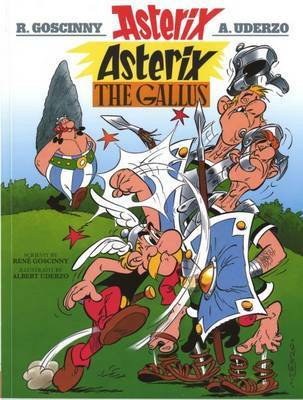 Asterix the Gaul is now getting the same treatment as Itchy Coo publish Asterix the Gallus, the original tale of menhirs and mayhem retold in entertaining easy-to-read Scots.